Danae has the integrity, energy, and creative service, in each detail of your various real estate transactions, required to procure the deal. She has lived in Athens for most her life and is a graduate of both Athens High School and Trinity Valley Community College. Danae is a devout Christian, mother of three, and wife to Dustin Oglesby. Dustin is also a Realtor with Stewart and McGee, as a second career. When available, he is most often found by his wife's side, helping with showings or listings. 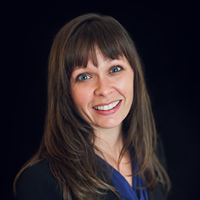 Danae is passionate about the needs and goals of her clients and can help bring peace of mind to home sellers and buyers alike. She has established a reputation as a honest, trustworthy, hard-working, service-minded business woman. Put her hometown connections to work for you today! Call, text, email, or social-media message anytime!